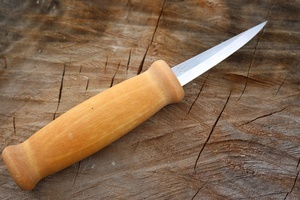 Made in Sweden birch handled wood carving knife. 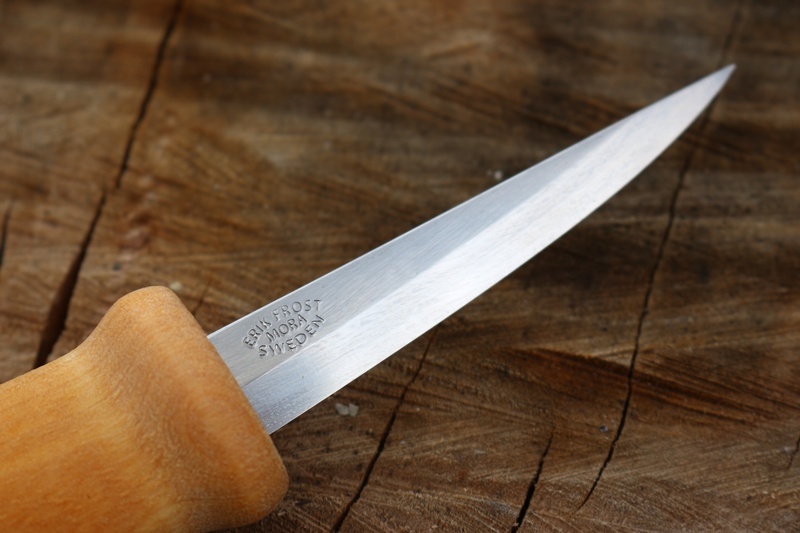 This traditional design has a great little 79mm laminated carbon steel blade to 60HRC. 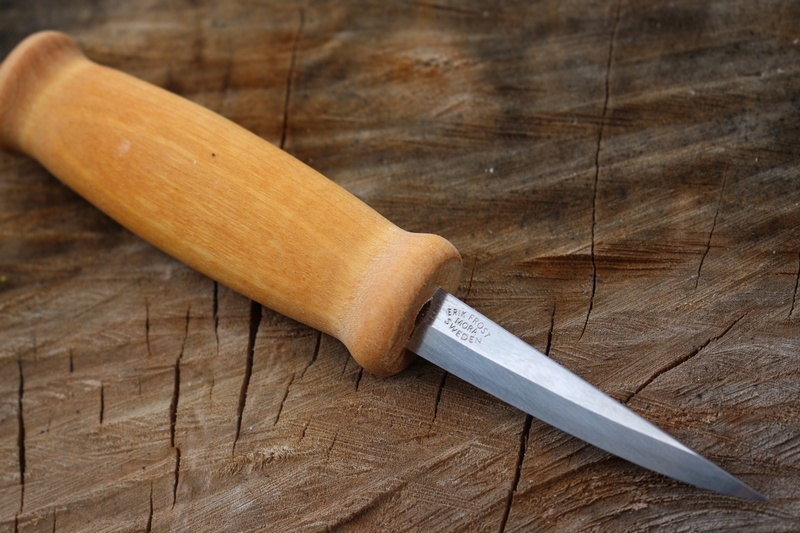 Superb grip and control combined with a great steel edge amke this an oustanding wood carving knife. 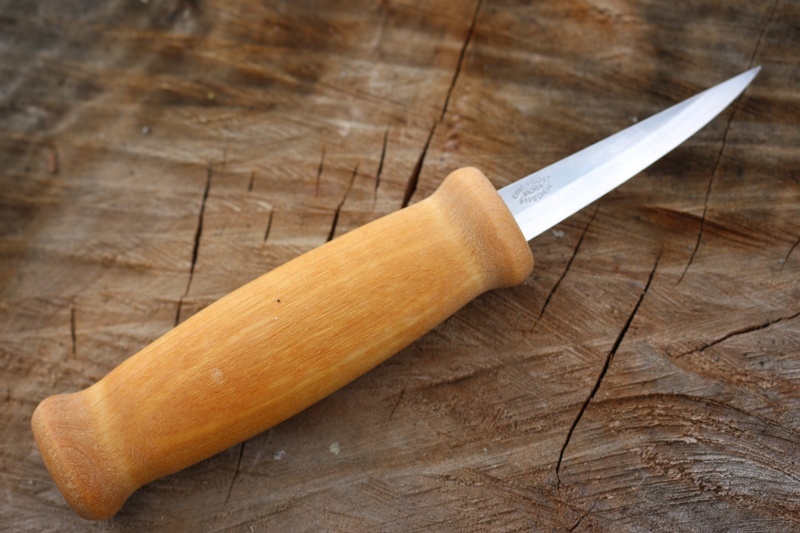 Purchase through PayPal by using the "Add To Cart" button above or use the form below to order the Mora Knives Wood carving knife 105 . Feel free to contact us if you have any questions about the Mora Knives Wood carving knife 105 .